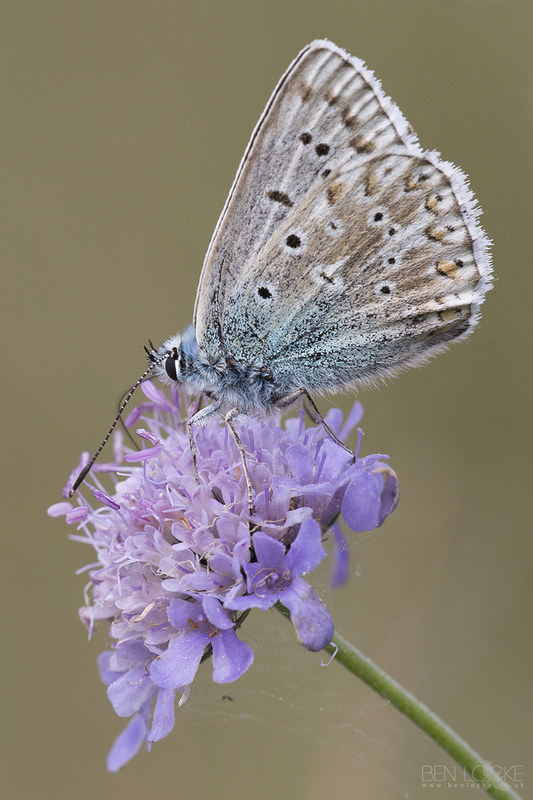 This Chalkhill Blue was photographed last weekend at Compton Abbas. The visit was primarily aimed at finding Silver-spotted Skippers, which was partially successful, in that a reasonable number were found, but the photos left a lot to be desired. At some sites many hundreds may be seen in August, flying just above the vegetation, searching for females. Large numbers of males may also congregate on animal dung and other sources of moisture and minerals. Females are much less conspicuous, being duller in colour, more secretive in their habits, and spending less time than the males in flight. The butterfly is confined to calcareous grassland in southern England and has declined in some areas during recent decades.